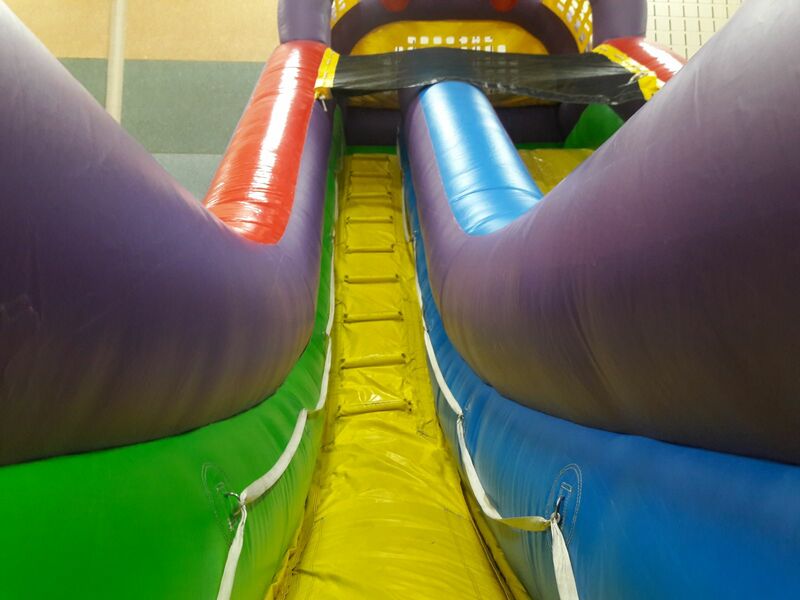 Try the GIANT 18 foot tall slide that is brightly colored for boys and girls ages 2-102! To jump right into the fun, the Ultimate Dry Slide has a front entrance and exit for easy supervision and line rotation! There are inflatable side walls surrounding the entrance and exit areas to contain the most ambitious kids and keep them from falling out. There are heavy-duty climbing grips that make it easy for the younger (and older) participants as they ascend to new heights on the easy-to-handle climbing wall with ladder-style steps. Even the youngest of participants can handle the steps up to the top of this slide! The safety net at the top of the slide area provides protective sun shade for the participants and keeps ambitious kids inside the slide even at the top-most heights. The slide is covered in a non-wax slippery slide surface that sends climbers gliding down smoothly and quickly and prevents screeching and burning sensations. At the bottom of the slide, there is an inflatable safety stop to slow excited children down before they exit the slide and prevent falling. 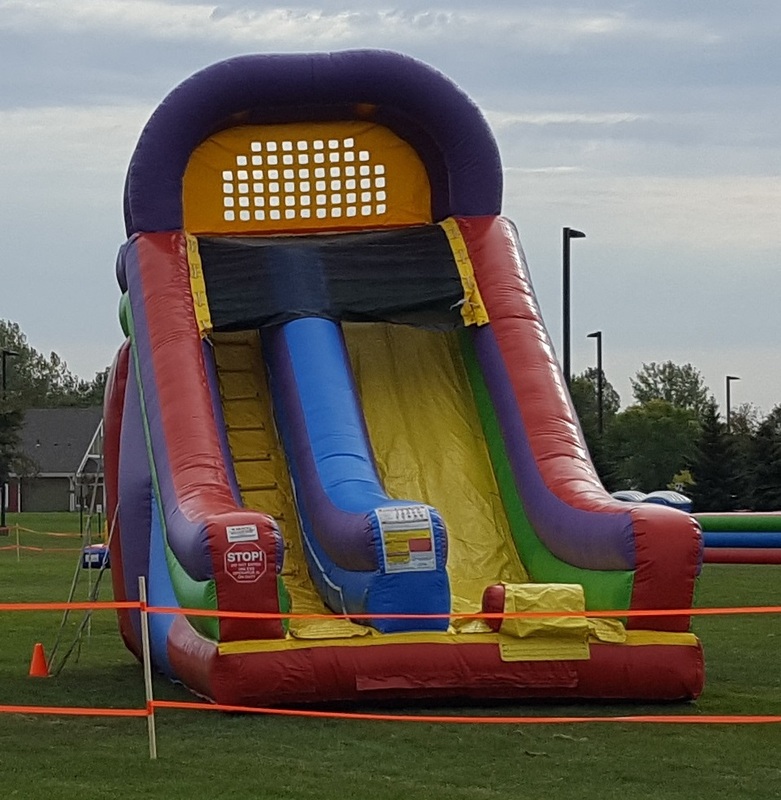 Although the Ultimate Dry Slide provides hours of fun, the line of waiting participants is quick-moving and kids (or adults) get lots of turns climbing and sliding down, which makes it perfect for school carnivals, church events, or large city festivals where the number of guests can be enormous. 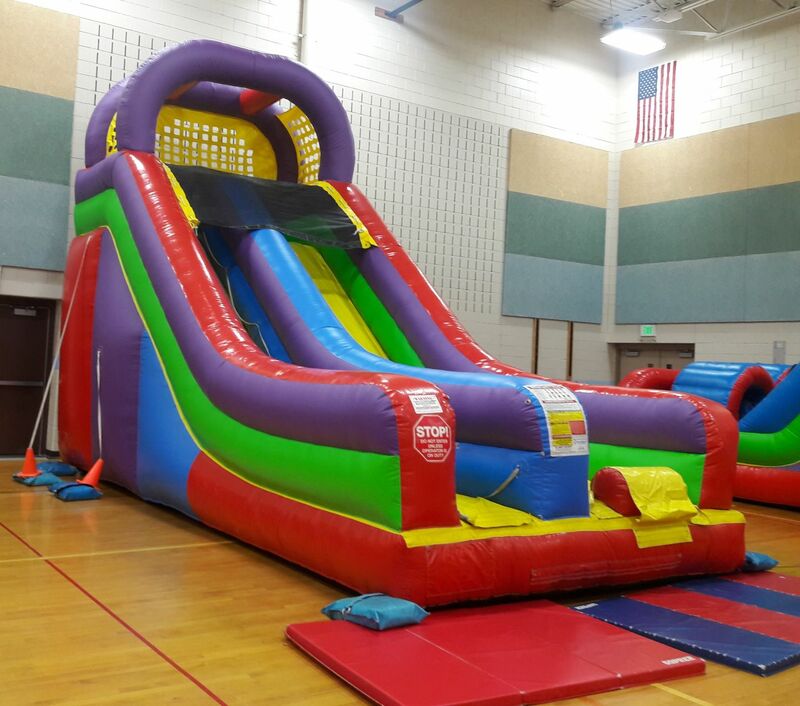 However, even though it is great for these larger events, slides are becoming increasingly ppular in backyard parties as a replacement or addition to the traditional bounce house rental. But be careful when looking down, 18 feet tall is higher than you might think! 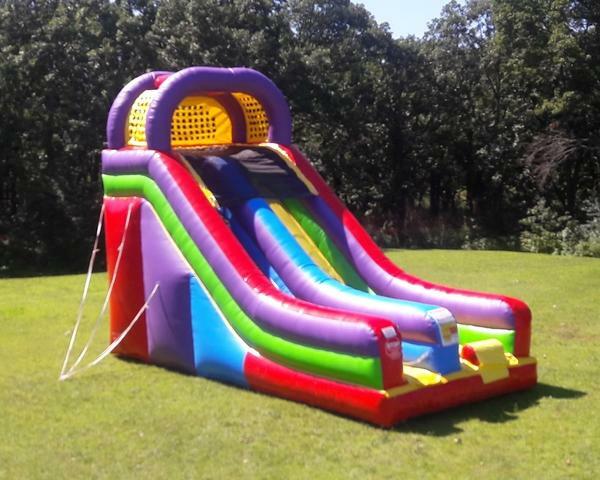 Click here for Package Deals with the Ultimate 18' GIANT Dry Slide.